Halima Umaru Bagudu is an architect and works with the Federal Capital Territory administration. 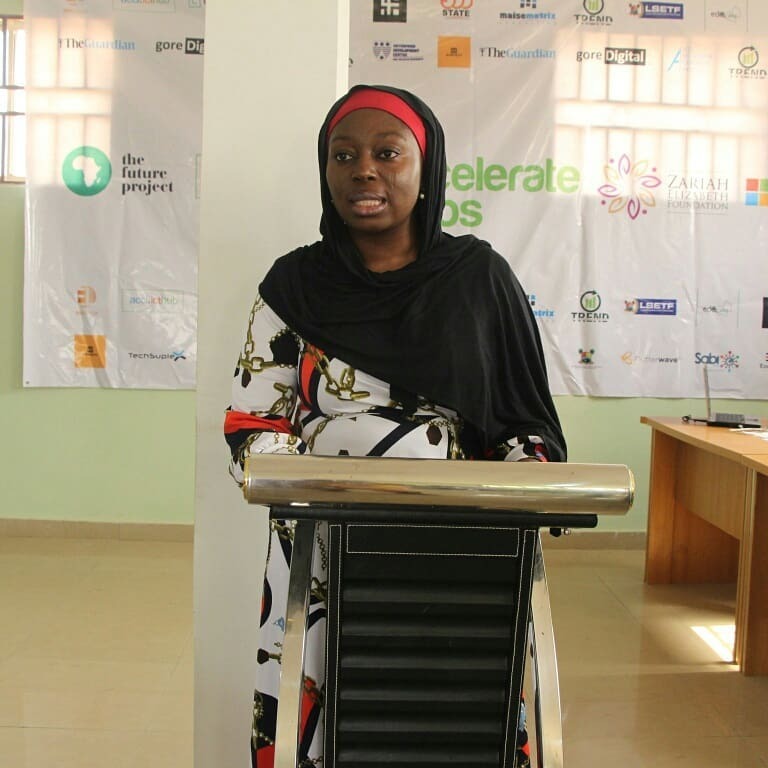 She was part of Stream 1 for Accelerate Labs in North Central, Nigeria. Kurux crunchies is an innovative groundnut biscuit making enterprise focused on solving the problem of false perception about kuli kuli (groundnut biscuit) through providing the following solution – having a production process and product that is certified by NAFDAC; having greaseproof, convenient and environmentally friendly packaging; and having a product that is easily accessible online and in major supermarkets across Abuja, Nigeria.